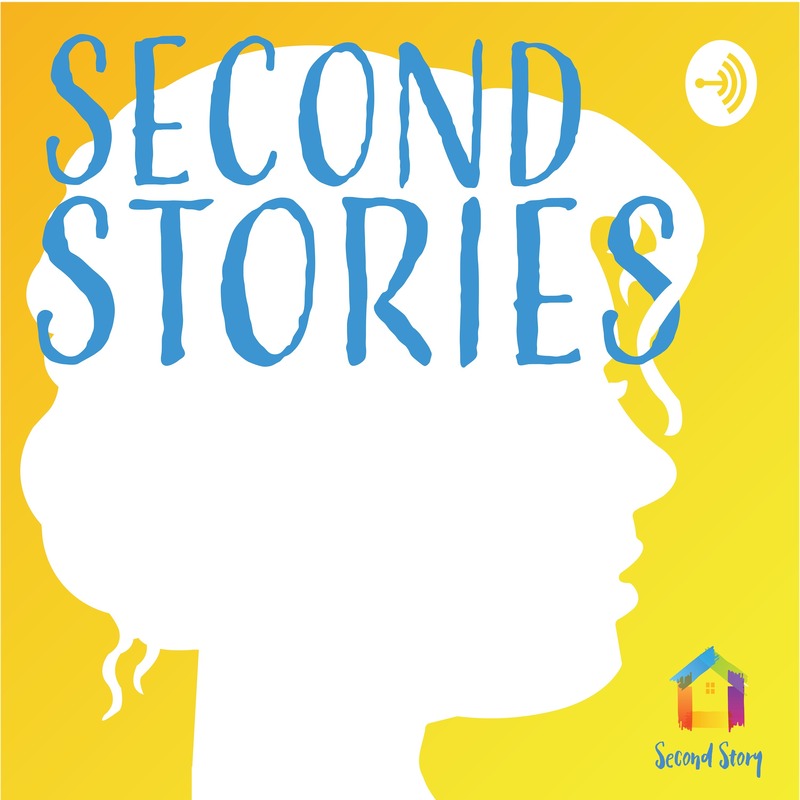 Second Stories | Listen Free on Castbox. Everyone dreams about how they want their life to look, but not everyone has the same level of opportunity to fulfill these dreams. Some of us grow up in loving families with solid support systems, while some of us are born into hardship and trauma. None of us can choose the life we’re born into; none of us can write our own first story. These situations might place us at a disadvantage, but they do not doom us. And sometimes a person or an experience helps bring the future we dreamed of into reach. It lets us pick up the pen and write our own second story. Amanda's family dynamic might sound familiar to many of us: things looked lovely on the outside but were actually challenging and dysfunctional. She remembers tension, addiction, financial pressure, and marital struggle that only worsened as she grew up. Amanda grew used to carrying this secret: that her family wasn't as intact as they appeared. It got harder, though, once her dad became abusive and her parents divorced.Years later, now a wife and mom, Amanda is pulling her family's experience from the shadows with the belief that her story isn't shameful, but rather a way to show others that hope and healing are possible. Bonnie’s home was safe in the literal sense of the word. She had a roof over her head, food to eat everyday, and parents who cared about her.But she felt smothered. She was lacking something important: a sense of belonging, and a sense that her feelings mattered. So she found friends who accepted her for who she was, but they also introduced her to a variety of other things that put her in harm’s way. Everything Bonnie experienced, though, helped her far more than she could have imagined at the time. Until now, many of our stories have had a clear before and after, a clear first story and second story. Bonnie’s story is different, and because of this she teaches us grace, strength, and learning from your past even when things feel darkest. This is part one of a two-part series from Johnny and his daughter, Merrill.When Merrill was 14 she started acting out. She wasn’t sure why, she just knew whatever she was doing made her feel better for a moment. The drinking, the drugs, the partying, all of it was covering up a darkness she was trying to shove away. Then a few years later she decided she’d had enough. She realized it wasn’t working. The darkness was still there. She reached out to someone she knew would keep her safe, her dad, and he knew exactly how to help. Merrill’s story feels familiar in context of the things we’re reading in the news and seeing on TV, but when we hear it like a story, from someone who feels like they’re sitting right beside us, it feels unique and personal in some very important ways. Growing up Carla loved bugs and books. “I was a dorky kid,” she remembers. She got teased a little bit, but she hardly cared as long as she was learning and reading. Then she got older and found herself in groups of people who disrespected her, even took advantage of her. Her mom tried to commit suicide. She started drinking. She got into an abusive relationship. She was coerced into having an abortion. The day Carla’s family found out she was pregnant with her son was a day that changed her life. “I didn’t even have any shoes on my feet -- I just ran.” Ran away from an abusive family, away from a life marked by alcohol and dangerous relationships, and also away from all the comfortable things she once knew. It was the best decision she could have made. Manny and Chauncy are brothers, with stories reflecting each others’ in many ways. Both Liberian, both called Northern Virginia home for a time, and both with dreams that inspire them and keep them up at night. Chauncy had something unique, though: someone telling him he could do it. Someone reminding him that his dreams had value. Someone telling him to never give up. And this person changed everything for him. Simron is a first generation immigrant, originally from South Asia. When she and her family moved to the U.S. she realized her new home had different expectations -- and opportunities -- for her than anything she’d ever known. Her family, though, didn’t see things the same way. Simron wanted to go to college and pursue her dreams, while her family wanted to arrange the sort of marriage that Simron had seen lead to abuse and injustice. So she made a choice. She said, “This cycle of oppression will continue, the cycle of being helpless. And that’s when I thought, ‘I don’t want a daughter who will go through what I’m going through…’ I thought, ‘If I can’t have what I want I won’t accept what’s given to me, either. I’ll fight.’” And fight she did. For the most part, Tina Gordon thought she was a lot like any other kid. She went to school. She had siblings at home. She played outside. Sometimes, though, she sensed that things were...off. She didn’t always get dinner, for example, and her friends' families treated each other differently than hers' did. Then when she was seven years old, Tina and her siblings were removed from their home and placed in Child Protective Services. This is Tina’s story of being a foster child and later being adopted, dealing with rejection, and loving her biological mom even when she wasn’t the parent she should have been. Everyone dreams about how they want their life to look, but not everyone has the same level of opportunity to fulfill these dreams. Some of us grow up in loving families with solid support systems, while some of us are born into hardship and trauma. None of us can choose the life we’re born into; none of us can write our own first story. These situations might place us at a disadvantage, but they do not doom us. And sometimes a person or an experience helps bring the future we dreamed of into reach. It lets us pick up the pen and write our own second story. This podcast is dedicated to telling these stories -- stories of people who were born into unimaginable circumstances and were able to rewrite the narrative of their own life. Second Stories is hosted by Abigail Brougher with production support by Franklin Vaughan. This podcast is brought to you by Second Story, a nonprofit that seeks to bring safety and opportunity to homeless youth and youth in crisis in the DC metro area.